I don't have a real recipe for these potatoes, so what you're getting below is my best guess about what I make. 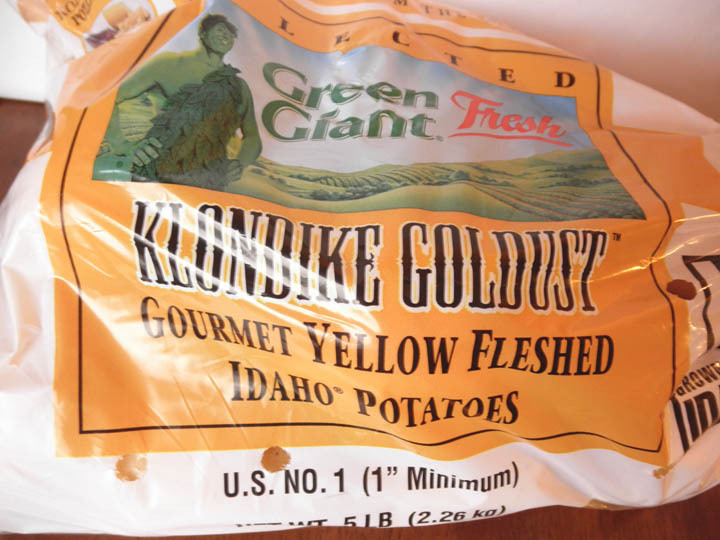 The key here, though, is to use Klondike Goldust potatoes. Seriously, they are the last word in potatoes. If you are any kind of potato lover, you really must go out of your way for these babies. Their texture and flavor are creamy and buttery, not at all grainy. Mmmmm. If your grocery store does not carry them, talk to the manager about getting some. In a heavy saucepan over medium-high heat, boil potatoes, garlic, salt (and water) until potatoes are fork tender (about 20-30 minutes). In a microwave proof dish, heat half & half and butter until the butter is melted (about 40 seconds). Drain water from potatoes. Return pot to the heat to cook off the excess water. Toss potatoes a little so they don't burn. This takes just a minute. Remove from heat. Pour about 2/3 of the half & half/butter over potatoes, along with about 1/2 teaspoon kosher salt and as much pepper as you think you'd like. 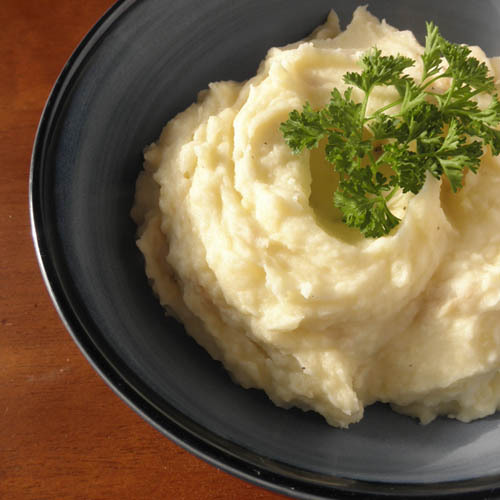 Use a potato masher to, well, mash the potatoes. Add more of the half & half/butter as needed for desired texture. Don't be afraid to add extra butter or half & half, as needed.